Enrico Da Como did his master in 2002 in Physical Chemistry at the University of Modena (Italy). 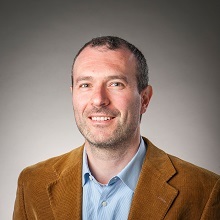 In 2003, he joined the Institute for the Study of Nanostructured Materials (ISMN) of the italian National Research Council (CNR) with a Phd position working under the supervision of Dr. Michele Muccini. After his phd degree he moved to the Photonics and Optoelectronics group of Prof. Jochen Feldmann at LMU Munich (Germany) as a Postdoctoral researcher. In 2007 and 2008 he had two visiting periods at the university of Utah working on Single Molecule Spectroscopy with Prof. John Lupton. Since january 2008, he led the research team on Organic Optoelectronics on a research assistant position (W1) at LMU. and in 2014 visiting Professor at the University of Ghent in Belgium. 2011 - Young Talent TOTAL Award from TOTAL S.A.